→24 Paying Investment Review: Is 24 Paying A Scam or Not? Now we knew people who made money mining Bitcoins themselves in the past before it basically got too tuff to do it yourself unless you for some reason have a low-cost or free source of power. The only real way to make money with Bitcoin these days is to possibly trade it as a speculator, or possibly get involved in a large-scale mining operation. 24Paying seems to claim to be one of these types of Bitcoin mining operations. But is 24Paying a good way to make money, or is it just an Internet scam? In this article, we’ll talk about the history of bitcoin mining, where the Bitcoin scene is at the moment, and whether 24Pay has a legitimate business model or not. Back in 2008, a guy named Satoshi Nakamoto published a paper called ‘’bitcoin: A Peer-to-Peer Electronic Cash System.’’ Obviously, the guy’s real name probably isn’t Satoshi Nakamoto, but the idea makes a lot of sense; that there should be a way of paying people and things on the internet anonymously, with no record of who or where the money goes. Basically, how cash works…just online. Bitcoin gained a lot of legitimacy when WikiLeaks began accepting Bitcoins as donations. However, Bitcoin still fluctuates more greatly than legitimate, earthly currencies. This, of course, is due to security breaches, the creation of more bitcoins, and speculators buying and selling bitcoins for various reasons. In one day back in March 2013, Bitcoin dropped in value by 23%, only to bounce back up again in a few hours. In April 2013, two big online payment processors basically quit working for awhile due to high trading volume/a hack (depending on who you believe.) When that happened, the Bitcoin exchange rate dropped from $266 to $76 before jumping back up to around $160 six hours later! Whiplash trading and volatility, right? In 2014, TeraExchange was approved by the US Commodity Futures Trading Organization to basically list a financial product called an ‘over the counter swap’ product that’s pegged to the price of Bitcoin aka BTC. Basically, this was the first time a worldwide and legitimate financial regulatory agency decided to legitimize and track a financial product based on Bitcoin. Well, as Bitcoin was created, something very interesting and unique occurred. With regular money, obviously, a government decides when and how it will print more money or less money. It is this idea and ‘’balance’’ that basically gives money its value. With Bitcoin, special software ‘’taxes’’ computers by making them solve a bunch of very complicated math problems. As the problems get solved, little fractions of Bitcoin are ‘produced’ or made by the program. When Bitcoin was first starting out, you could use your desktop or laptop to run a small program in the background, ‘mining’ Bitcoins for you. The problem with that now is that Bitcoin has been around for a while, and it now takes a whole roomful of computers stuffed with graphics cards etc. to mine a worthwhile amount of Bitcoins. In effect, it takes longer now and it’s ‘harder’ to mine Bitcoins that it was before. Maybe it’s a good idea just for fun to have a small passive program mining in the background of your laptop…but the days of making money from mining are pretty much gone. 24Paying claims to have an automated program or ‘bot’ that automatically trades bitcoins based on prices, and always buys or sells at optimum times. The problem with this is that such a ‘bot’ doesn’t really exist. If it did, and it made so much money every day…they would not be soliciting donations from investors! They would have enough money even just after a few days of running the bot that putting more money in the pool would never be something they would need. If anything, they wouldn’t want their position in the market to be made larger, because then their (larger) trades would effectively start swinging the market back the other way every time they made trades! Another big red flag is that 24Paying try to get you with a bait-and-switch. They say to start with $5, and that after that ‘trade’ with them you can put more money in their pot in order to earn more. In reality, this is probably a Ponzi scheme, aka a Bernie Madoff scheme. We don’t recommend you invest with 24Paying or any online service that claims constant profits or some sort of ‘magic bullet’ solution. On the 24Paying website, they even have stats! Because they know how much people interested in financial products like data…there are some fairly satisfying numbers on their site. They say they have something like 275 running days at the point of this article writing, with the bot as of right now, and $4.5 million dollars in their account with another $7.9 million withdrawn. Perhaps I think they need to retake their math classes as I think they having an issue in calculation even trying to cons people money. Their deposited money is lesser than in the account yet still able to withdraw more than that?? I am curious, though? Yet for some reason, their site still reads in broken English and has a very basic user interface and theme? You’d think a multimillion dollar, extremely profitable website and investment group would have a few extra dollars to spruce up the website, huh? Or even just the idea that an investment opportunity is so good…but for some reason has to try and convince you to put your money in? This smells fishy. 24Paying is definitely a SCAM. If you really want to build money, you have to invest prudently and save. 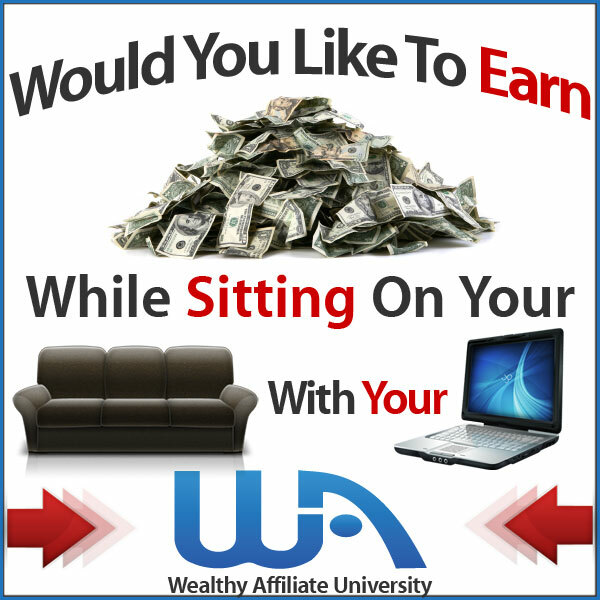 If you want to build up something online and get paid without getting involved in financial products, maybe get some websites going and make money with affiliate marketing. Google AdSense and Amazon, as well as many smaller companies, pay out pretty well when it comes to Pay-Per-Click and traditional sales/commission-based models. If you want to learn legitimate money online please read my #1 honest recommendation review. Learn more about website building and affiliate marketing, and stay clear of scams like 24Paying. What is your thought regard to 24 paying and do if you have any experience with 24 paying or others similar program, feel free to share it with us? We would like to hear from you. Last but not least if you need any help from me in your online journey do not hesitate to reach out to me and I’m more than willing to help you out. I wish you all the success in you online journey and stay out of those crap and scams out there ^^. It’s amazing how these scams can show all the numbers or potential you can make but when people get into it, they realize it’s not what it is cracked up to be. Thank you for exposing these companies! Someone even told me that it is usually 1-2 behind these scams and spend more time advertising than actually helping people and giving the service they stated with flashing lights. Hi Liz, No problem at all. Thank for dropping by and sharing your thought. So long, 24 Paying and Bitcoin. We have it enough. Enough of crazy rubbish on the Internet. But the problem is these people could still recruit enough followers to make them rich. Why should a business be so complicated? Honest business should be straight forward and simple. I would rather recommend affiliate marketing or PPC campaign. Or Wealthy Affiliate. From my point of view why these scammers still able recruit more people and people due to the tempting numbers as well as promising message. Insufficient knowledge of follower also one of the key point that why people fall for these scams. Thanks for your time sharing your thought.